My ability to seek both a generous orthodoxy and a conviction of the uniqueness of Jesus has, in recent months, been greatly helped by the following quote from Julian of Norwich. The quote reminds me that salvation in Christ includes an objective reality outside our own frames of reference. Jesus teaches us what love of God and neighbour is like. In the face of the uniqueness of Christ, I can only say “God in Jesus, please teach me to love and be loved.” In this cry for help, I enter into the love of the Triune God. My actions become God-filled, an extension not of my own efforts, but of the love of Christ. In the Triune God, I love God and neighbour. I can affirm a generous orthodoxy empowered by the uniqueness of Christ. 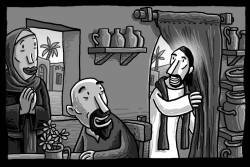 would Jesus carry a tract? Just then a religion scholar stood up with a question to test Jesus. “Teacher what do I need to do to get eternal life?” Luke 10:25. I have a secret. It is deeply personal, so please treat it with respect. This is my secret: God speaks to me in the dark. With my eyes wide open. I am talking of course, about movie watching. My secret is that my spirituality has been profoundly shaped by movie moments, including the ending of The Matrix and the honesty of The Interpreter. And I am not alone. While historically many Christians grew up thinking film was bad, the reality is quite the opposite. Movies today are an essential vehicle for the formation of spiritual and cultural identity. In fact, if the apostle Paul were to wander our cities today, I have a hunch he would stop outside our movie cinemas. He would point at the latest movie blockbuster. Just like in Athens (Acts 17), he would applaud the box office for taking religion seriously. Movies are a mirror on contemporary culture. 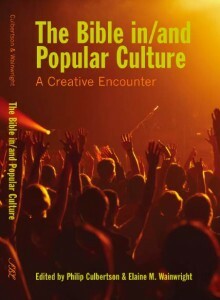 If Paul took the time to read his culture’s poetry, then Christians today should take movie going seriously. And I am not only talking about The Passion of the Christ or The Lion, Witch and the Wardrobe. The task of being a Christian has always been a conversation between faith and culture, between our stories and Gods story. The apostle Paul had developed the skills to engage the spirituality of his culture. Can we? “Who are we?” is the question being asked by movies like Sione’s Wedding. “What is wrong?” is the question being asked by Crash or Out of the Blue. “Is there a remedy?” is the question being asked by Shawshank Redemption, The Interpreter or The Three Burials of Melquiades Estrada. (A piece that I wrote for CS Arts and Touchstone back in December06). A few weeks ago I was phoned and interviewed by a Christian newspaper about people leaving the church. The article has now appeared. I get the first 2 paragraphs, and am then juxtaposed against TV info-gospel-man Brian Tamaki. Taylor is very happy to be quoted and juxtaposed against Tamaki (The full article is here). The parable of the “searching shepherd” (a better name than Lost Sheep) occurs in two places in Scripture: In Matthew 18:12-14 it is in the context of searching for little ones, those who are struggling because of the actions of Christians believers. In Luke 15:1-7 it is told in the context of the prostitutes and sinners that hang around Jesus. Luke seems more outward focused on the oft-called “non-churched”, Matthew seems more focused on the “dechurched.” Both groups receive the care and support of the searching shepherd. Practically, at Opawa we support and celebrate a group called Spirited Exchanges, which meets monthly and aims to provide a support for people struggling with church. We also work hard at providing spiritual resources (for example, Lent and Advent art postcards) so that people can be nurtured without having to turn up at church. The article caused me to ponder the place of technology in our contemporary Christian-scape. Here is a quote from an Ian and Phyllis Ford,who pastorally visit people who feel called out of the structured Church. Help me with the logic here: So if you are visited pastorally by a pastor and attend church where you get input from a sermons … you are churched. But if you are visited pastorally by Mr Ford and get input via sermon on DVD … you are unchurched? I wonder if we are seeing the use of technology to liberate practices – sermon listening – from a local, embedded community. 80 years ago you had no DVD and no Christian radio in TV, so was it much harder to survive outside a local, embedded church community? I wonder what the long-term place of embedded relationships will be in our increasingly technology-saturated world. I wonder if Rhema, when it was founded, would have been happy to see their resources used in this way. I wonder, when Steve Taylor produces Lenten and Advent resources, if he is happy to be used in this way? What is the place of the practise of an individualised faith (whether sustaining by lighting a candle in a cathedral or reading blogs or listening to Christian radio or TV), in a Christian understanding of God as Triune and relational? and for being church (ecclesiology)? Some excellent Lenten resources floating around. Cityside Baptist are offering a digital prayer and art-making process. Go to their website and you face four choices – a theme, a media, a prayer path, and a recording process. Resources are offered daily, including a Friday special in the form of a creative, lateral stimulus. A digital way of letting people individually create art and engage in prayer through the whole of Lent. Excellent. 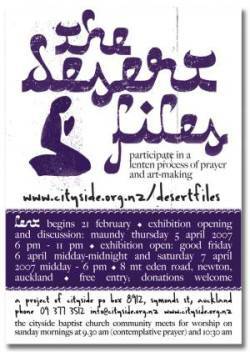 Lenten 7-pack; at Opawa (and other participating churches). Urban seed have 40 creative readings in an attractive, wallet-sized format. I have blogged in previous years about the personal Lenten value I have gained from Si Smith’s “40“. It’s a CD-Rom with a visual reflection on each of Christ’s 40 days in the wilderness. 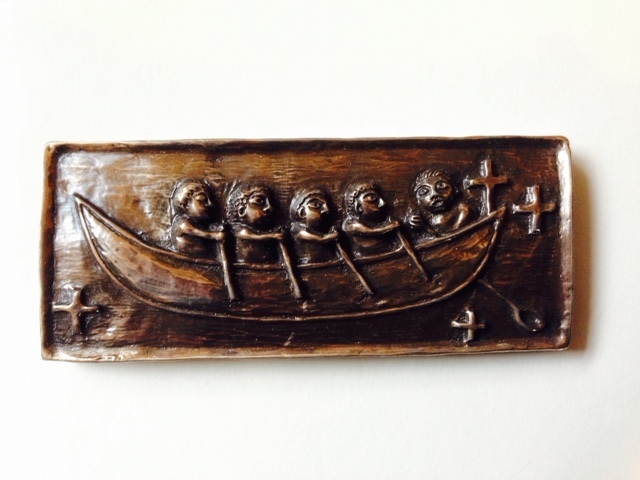 It can be used for contemplating an image a day for individual preparation; it could be used as one of a number of worship stations; it could be used as a visual meditation in a more established church setting. (There’s an e-interview with the creator here, and again, antipodean’s can buy it from the future church nz website. 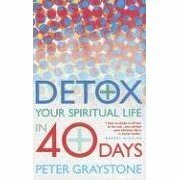 Peter Graystone’s Detox your spiritual life in 40 days is a great travelling companion. Aimed at 20′s-30′s, it’s a helpful mix of readings and action steps for each day of Lent. 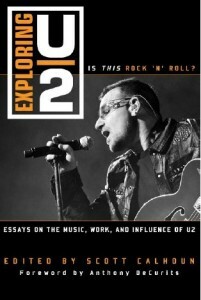 (And great to see that it is coming out in the US, as I have been asked to provide a review for promotional purposes). 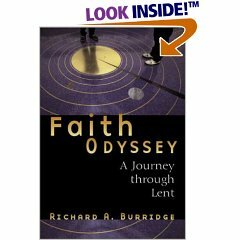 A few years ago I used Richard Burridge’s Faith Odyssey ; 40 readings that use science fiction to engage the Lenten themes. Here is my latest film review; of the New Zealand film Out of the Blue. 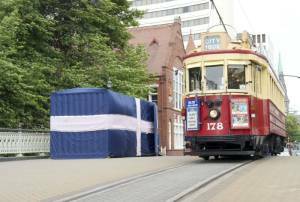 “Out of the Blue” proclaims that there is more to the New Zealand film industry than special effects at Weta Studios. We have Kiwi filmmakers who can tell our stories with style and maturity … Such questions allow the Kiwi story of Aramoana to become a universal story. It allows us to move beyond a well-made docu-drama of courage under fire, to begin to ponder the moral and ethical questions of being human in a society full of metal things “well made.” more. 1. The process by which food is converted into substances that can be absorbed and assimilated by the body. It is accomplished in the alimentary canal by the mechanical and enzymatic breakdown of food. 2. Assimilation of ideas or information; understanding. 3. The name of our Sunday evening church service, where we try to “digest/assimilate” following Jesus today. LISTEN to a Scriptural passage  short  sharp – ending with 2 questions (for talkback – see below). TALKBACK; to discuss the Biblical text with preacher, on the sofas in the foyer; a chance to address either of the 2 discussion questions, or any other, in a relaxed setting. Requires no preparation from the preacher (other than usual exegesis), just a willingness to dialogue and some ability to keep a discussion on track. The image is that of radio talkback. REFLECTIVE SPACE: for this Sunday the reflective space involved a computer; with continous looping visuals and a 6 minute meditation (words and ambient track). The use of headphones allowed a person to be alone with God. (Other options we have brainstormed as possible CHOICES for other evenings include communion, serving practically in the community, creative response, labyrinth). Finishing with supper round 8:15pm. A person walks around each option; offering a benediction to those gathered, and informing them of the location for supper. Why? After 3 years of Digestion we are recognising that it attracts children, young teens, teenagers, students, workers. So rather than force all ages into a discussion, or a creative response, or singing, why not give them some choice? It also recognises that people digest in different ways and in different rates. It also possibly invites people to be more adult about what they need to digest. 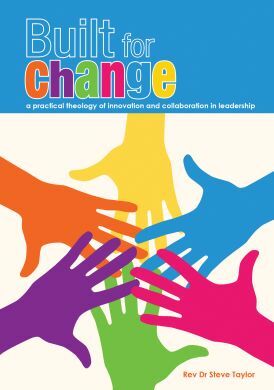 I had a fascinating phone conversation with Bernard Walker, from the School of Organisational Leadership and Development at the University of Canterbury. He had been reading my Out of bounds church? book and was making some fascinating connections with current issues facing industrial relations and labour unions. He was after a book reading list for a post-graduate research project, looking for parallels between the literature regarding church involvement and that regarding union membership. It was a most stimulating conversation that I have continued to ponder. It is easy to get locked into the local church and to then judge mission effectiveness by the rise and fall of a local community. Yet the local church bobs on a cultural sea. 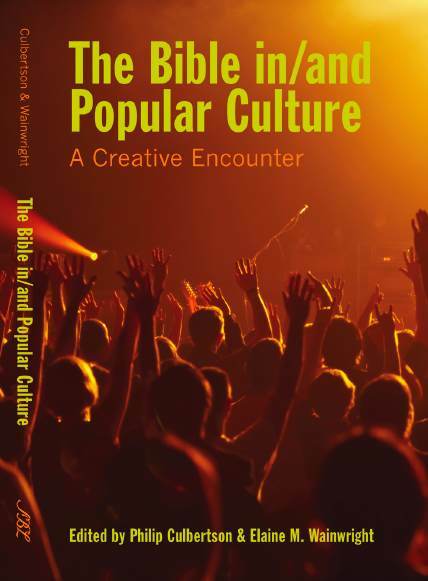 Issues, for example, about membership and belonging and commitment and busy life and time-styles are not just local church issues, but are part of larger cultural currents. We ignore these currents at our own peril. For all of the alarm in Christian literature about the decline of the church, their is as much, if not more alarm, in other voluntary sectors. (Rugby clubs, unions, political party membership lists being just three examples). In fact, some of the emerging church thinking might actually be of help to the future of other groups in society. And vice versa, for the health of Christianity, we need to be part of inter-disciplinary conversations, talking to other groups in society, learning together. This is designed to keep you in context. In other words, you read not for class, but for your missional context. At the same time, the use of on-line community and tutor engagement is designed to encourage you and give you a sense of being part of a learning community even while engaged locally. Missional church is about the future of God among the people of God. And since course design must follow course theology, that means you can never teach missional church as a theory or set of ideas. Rather, you must allow learners to pay attention to the work of God among the people of God. b : gather monthly: we will gather around a set of practices, to hear what each other are learning, and to receive input and coaching. This places people in an accountability group and ensures we learn from each other and the gathering is shaped by what we each bring and contribute. This is not a conference or lecture, but a year of habit building. We will physically move these gatherings out of the classroom and around each participant’s context. d : projects : two major projects include firstly, listening in context, asking students to identify the narratives of God at work and secondly, to name an action project that cultivates the missional imagination in their context. These projects will be shared with the group, for feedback and learning. So I wondered as I worked and typed, is this a step toward Theological Education 2.0? For more on the Christmas Journey: go here for Christmas 05; some missiology here; New Zealand Listener article here; photos of Christmas Journey 04 here. I also have a DVD; 4 hours of Pete and Joyce Majendie explaining the whole installation process from start to finish. Drop me a line if you want some resourcing input in doing some art outside the church in your community. The Lenten 7 pack went to the printers today. They look absolutely grand; 7 handdrawn images + 7 Biblical texts (following the journey of Jesus toward Jerusalem) + 7 practices + 7 questions, each on a wallet-sized card, to be carried by people out of church and into work and play. (We are also producing accompanying study guides to allow small group and study group interaction. We have 3 other church groups partnering with us, so it’s nice to be resourcing in this way). Now here is today’s question: Do we give all 7 out at once? Or, do we give them out week by week? is your view of God’s Kingdom larger? does your music sustain your life-gift? I am in Auckland for the next 24 hours, delivering a paper at a Bible College of New Zealand Curricular Conference. I have been asked to speak to the topic: how to express emerging church in a seminary curriculum. a) to define the emerging church. I use Luke 10:1-12 to highlight themes of missiology and contextualisation. 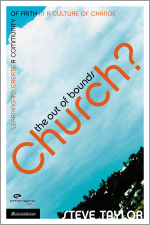 b) to outline a model which integrates context, Biblical text and community mission action. c) to apply this to three papers I teach – Emerging Church; Missional Church Leadership and Gospel in a post-Christian Society – explaining how and why I teach and reflect the way I do. The paper, if you are interested, is here (208KB). It might be of interest to anyone wanting to critically engage with the emerging church and to those teaching in seminaries.